From the battle emerged a multitude of heroes and villains. The brutality rivaled that of the Eastern Front; no quarter was given. Incidents like the Malmedy Massacre became well-known. On the afternoon of December 17, 1944, over 80 GIs who had been taken prisoner were gunned down by men of the 1st SS Panzer Division. Some escaped to spread the story, which led to a steely resolve on the part of American troops. But later that night another massacre occurred that received little attention during or after the war. 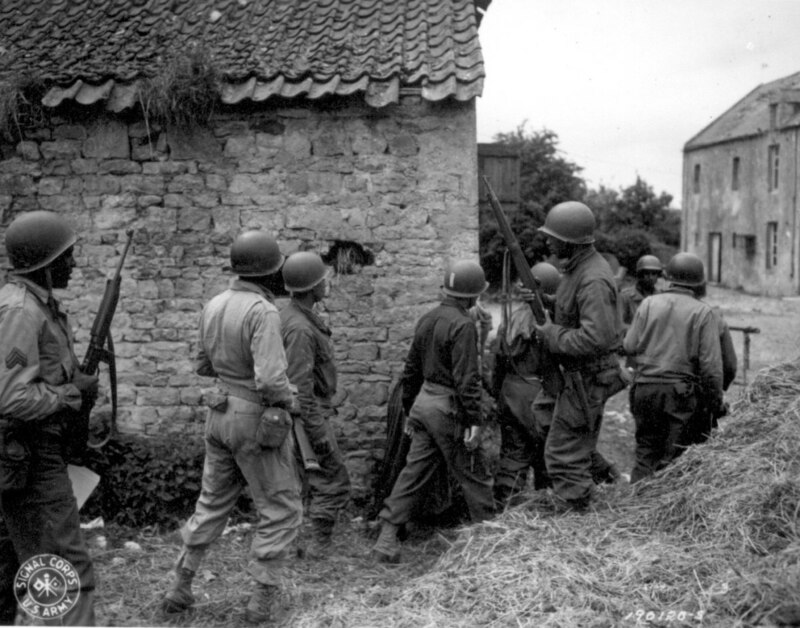 Eleven men from the 333rd Field Artillery Battalion were taken prisoner after taking refuge in a Belgian village. They surrendered peacefully to a squad from the 1st SS, and marched out of the village. Upon arriving in a large field along the main road, the men were beaten and finally executed. After the battle, the massacre was investigated but in the whirlwind of post-war politics, it was quickly forgotten. Why was such a horrific act brushed aside? Was it race? All of the men were black. Was it Cold War politics? Taking revenge might anger our former enemies. 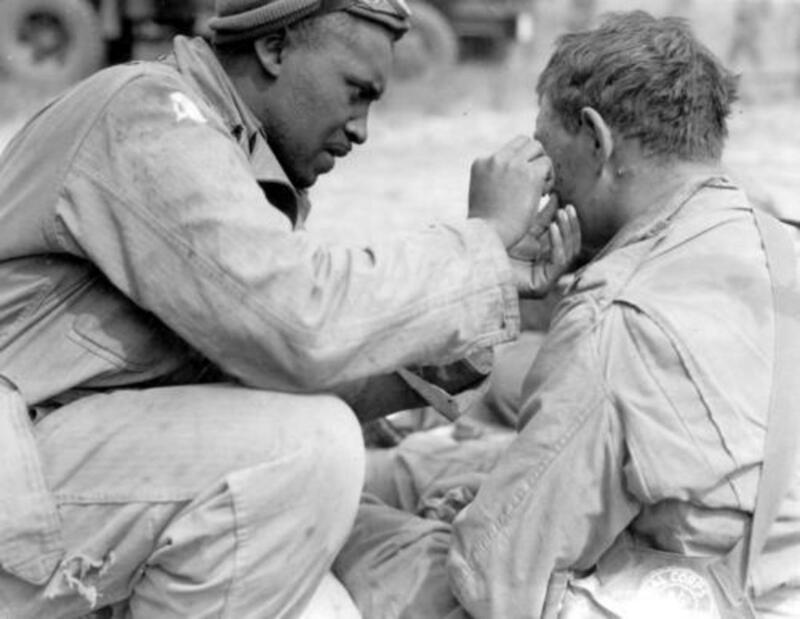 The reasons are many but when one goes back to examine the massacre, a light begins to shine on the much forgotten role of African American troops during the conflict. The 333rd Field Artillery Battalion (155mm), like most African-American artillery battalions in the segregated Army, was a non-divisional unit under the command of its Army Corps, in this case, VIII Corps. Two or three of those battalions would be configured into a "Group." By coincidence, the 333rd's group was also called the 333rd. It had at various times, both white and black units. 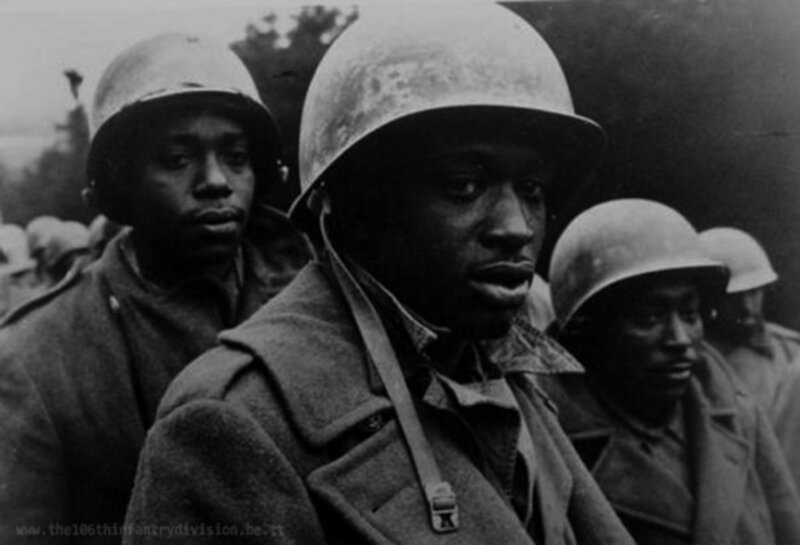 At the start of the battle, the group also consisted of the 969th FAB (African American) and the 771st FAB (white). 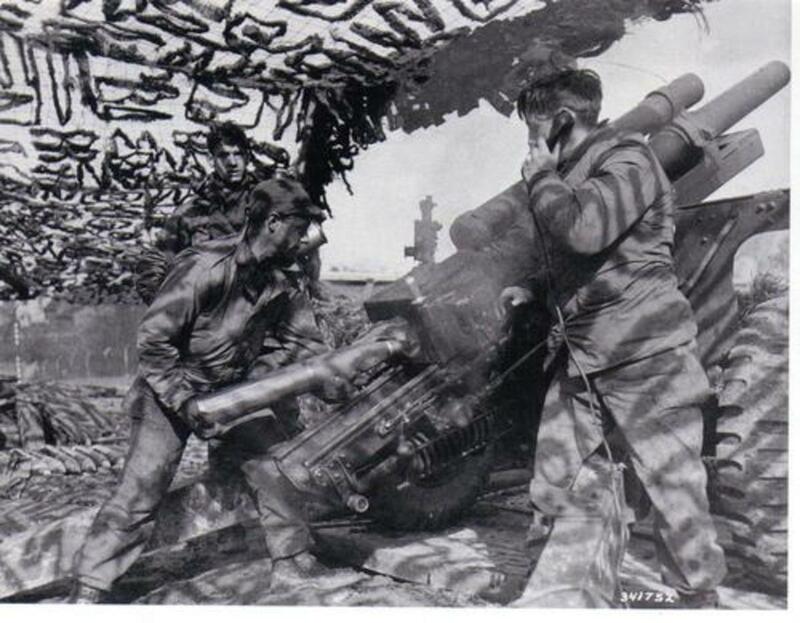 The role of the Corps artillery was as supplemental fire support for the infantry divisions who had their own organic artillery battalions as well. Most of the corps units in the European Theater of Operations used the 155mm howitzer (& Long Tom version), 8 inch howitzer or 4.5 inch gun. Situated along the Andler-Schonberg Road, east of St. Vith, Beligum, the 333rd FAB had been in position since early October. After the departure of the 2nd Infantry Division the first week of December, it was nominally attached to the 106th Infantry Division who had replaced the 2nd in the sector. The 106th’s infantry regiments were spread out along the Schnee Eifel ridge a few miles east and south of the 333rd. Two observation teams were posted in and around the German village of Bleialf. A liaison officer, Captain John P. Horn, had been assigned to the neighboring 590th Field Artillery of the 106th Infantry Division. The 333rd had something many of their neighboring units did not have: combat experience. Commanded by Lieutenant Colonel Harmon Kelsey, a white officer, the Battalion had been in the field since late June ’44, when it landed at Utah Beach. It fired its first shots just hours after arriving. After helping to chase the Germans out of France all summer, it arrived on the German border in late September. The Battalion's main gun was the standard M114 155mm howitzer (towed), and it had the standard table of organization, with three firing batteries along with a headquarters battery and service battery. Despite the segregation of the era, some of its junior officers were black. The Battalion had an impressive record, once firing 1500 rounds in a 24 hour period and later capturing a village in France. And for once, a black unit received some recognition when Yank Magazine ran an article devoted entirely to the Battalion in the fall of 1944. 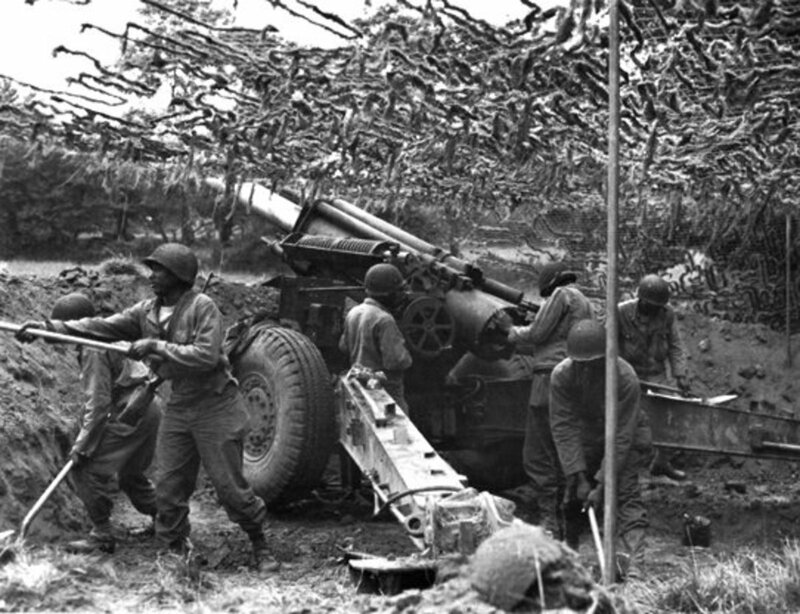 African-American units played a significant role within the Corps artillery structure. There were nine non-divisional black artillery battalions along with four black Group Headquarters in the ETO scattered among several army corps. Many of these were with VIII Corps or would serve sometime under its command in the coming months. 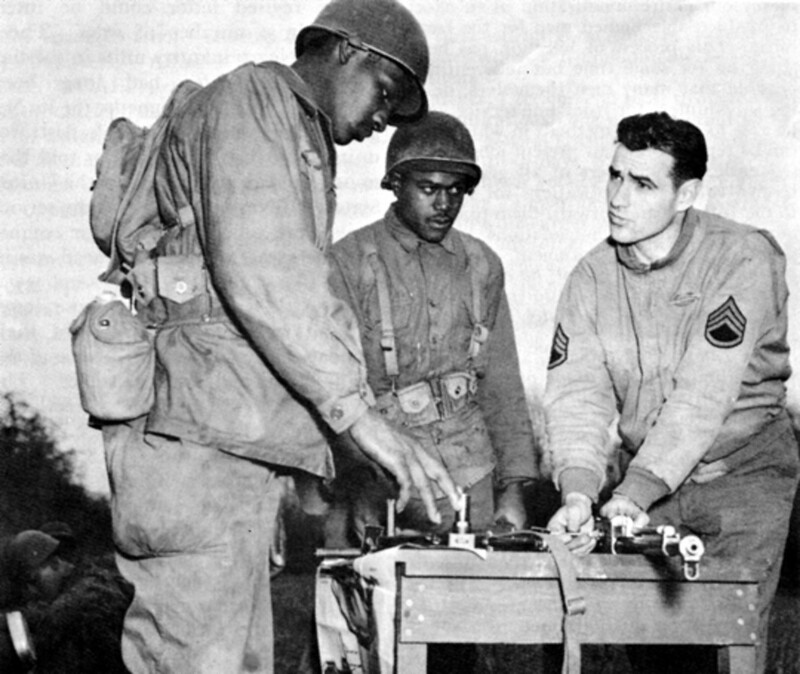 Black artillerymen were as highly trained as their white counterparts, and by December 1944, they had become some of the most experienced units in the US Army. Units were shifted according to the needs of a particular battle, so those four black Group HQs, ended up controlling both white and black battalions as the situations demanded. The other Corps artillery units which had been in the vicinity for some time, such as the black 578th and the white 740th, along with those in the 333rd group, had built up their positions so well that almost every GI was billeted in a log cabin, house, or well-insulated tent. The 578th, down at Burg Reuland, had a bowling alley built and regular visits from the Red Cross Clubmobiles. Regular leave was instituted to either Paris or cities in Belgium. For African-American soldiers in a segregated army, morale was high and conditions mirrored that of their white counterparts. 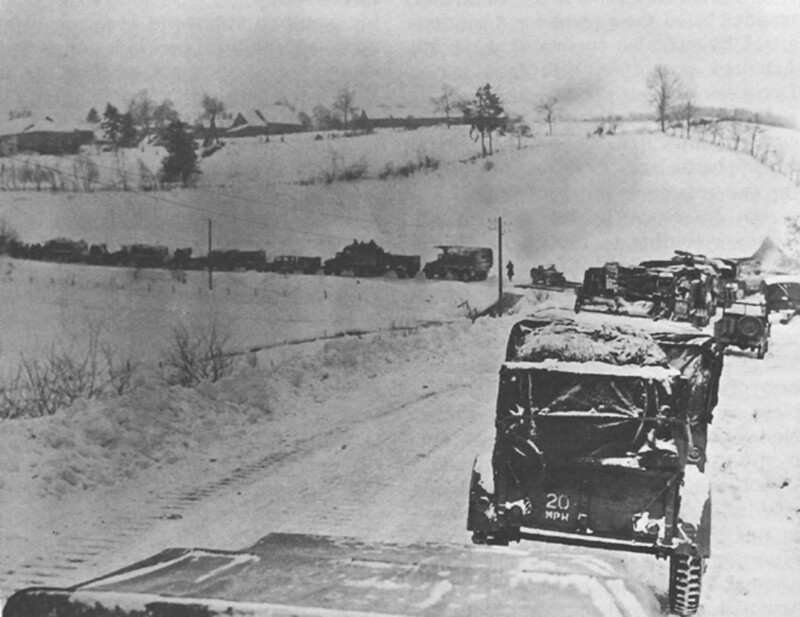 On the 16th, with the scope of the Battle still unknown and weather worsening, Corps ordered A and B Battery to displace west of the Our river with the rest of their group, eventually moving south into Bastogne. C Battery along with Service Battery and the Battalion HQ staff were to remain in place for now at the request of General McMahon, the division artillery officer of the 106th. He believed their fire support would be needed in case of a withdrawal. As shells flew over the river, and some falling just in front of their positions off and on all morning, C Battery began receiving calls from the observers in Bleialf for support, which they were able to provide almost immediately. The Germans expected to take the village by noon. C Battery and its commander, Captain George MacCloud, were to play a large part in the defense of the Schnee Eifel this first day of the battle, helping to deny the Germans a permanent foothold in Bleialf. It would take the Germans another 24 hours to finally expel the Americans and cross the Our River, which lay just 4 miles away. MacCloud, an Oklahoma native, had one of the toughest jobs an officer could have in a segregated Army. He was a white officer in command of black troops. Not only did he need to relate to his men, whose life experiences were polar opposites of his own, but he had to earn the respect of other white officers who often looked down on those in his position. MacCloud certainly had the respect of his men. Newark, New Jersey native Sergeant George Schomo, called MacCloud a great commander, a man’s man and someone he would have followed anywhere. There was no immediate concern about encirclement. Being fairly close to the river and its heavy, stone bridges would enable them to get out quickly if needed. With its other batteries already on the move, they assumed it would be only a matter of time before the orders came down to move out. Other Corps artillery units were given march orders within hours, although in some cases, they first had to stand and fight. The men of the 578th, whose batteries were well forward, had to pick up M-1 Garands and fight as infantry to hold off the onslaught, taking 12 prisoners. Despite the stern defense, by nightfall these units had to continue their preparations to displace and move out as fast as possible. Time was of the essence. The growing traffic jam on the road to St. Vith was starting to become a crisis. Down at Bleialf, the two forward observer groups from the 333rd FAB had their outposts on the edge of the village and held their ground. 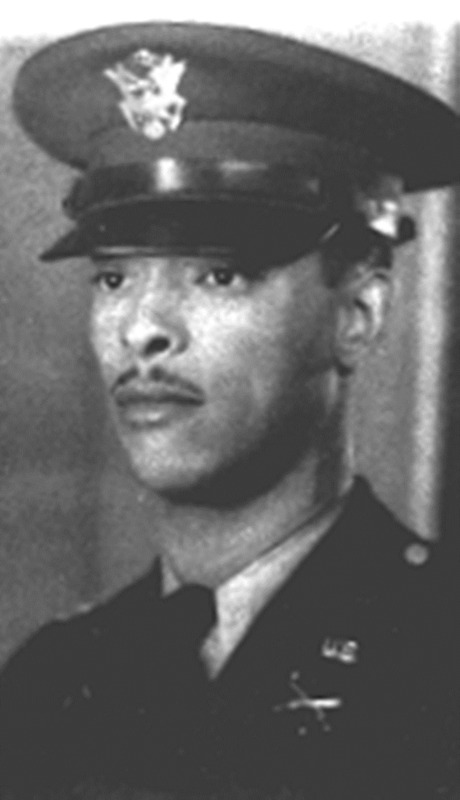 One was led by Lieutenant Reginald Gibson, and the other by Lieutenant Elmer King. Whenever communication allowed, they kept identifying targets for any artillery battery that would listen. Both groups managed to stay at their posts until 0600 the next day. It was a remarkable achievement considering they were almost completely surrounded by the enemy for nearly 24 hours. On the early morning of the 17th, uncertainty reigned. Before first light, the men of C Battery tried to have some breakfast while the sound of tank treads and small arms fire echoed everywhere. Fog obscured observation. Their radios were filled with frantic calls from the infantry. The Germans seemed to be everywhere. Still the men were waiting on word from Corps to displace. It was too late. At 1000 hours German armor appeared along the Andler Road in front of C battery. German infantry began pouring out of the woods. It was every man for himself. Most had no time to escape. A few groups managed to make it into the woods. Roaming around the dark woods of the Ardennes with its muddy paths and steep, slippery hills slowed them down considerably. A small band headed south toward Schonberg, but the Germans were already there. After seizing the village, the Germans were waiting for any Americans trying to cross the bridge. The 333rd survivors had made to the east bank of the Our River and made their way out of the village. As they trekked up the road, they encountered a convoy from the 589th Field Artillery (106th ID) and warned the drivers that there were Germans all over the village. They were ignored. As the Americans made their way over the bridge, a German tank opened fire. Two trucks were hit and several men killed. The men tried to scatter but were forced to surrender soon after. A few other survivors kept moving east, deciding to link up with the 106th’s infantry regiments scattered in the hills. By the evening of the 19th, they too were prisoners as were most of the 422nd and 423rd infantry regiments of the 106th. But a small group from Service Battery and C Battery headed west over the Our, trying to reach American lines, which were still within reach. It was bitter cold and they were soaked from the freezing rain that fell most of the day. They tried to stay just inside the tree line, keeping their eyes and ears open for any sounds of Americans; none appeared. After six hours of marching and with darkness approaching, the men were left with no other choice. They decided to ask for help. In the early evening of the 17th, the eleven men made it to the tiny village of Wereth, just northeast of St. Vith where they were taken in by Mathias and Maria Langer. Unfortunately, it was no safe haven. A German sympathizer in the village informed on them. Sometime later, a patrol from the 1st SS approached the house, and the GIs surrendered peacefully. They were led out of the village to a small, muddy field. 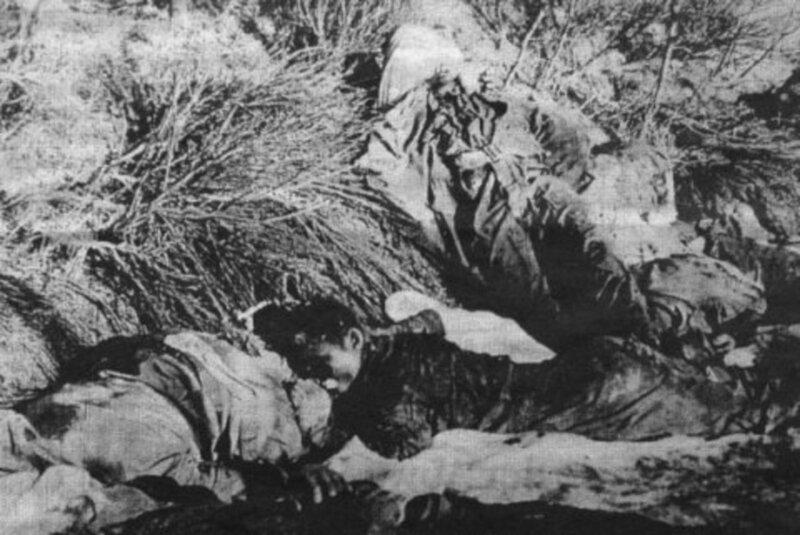 Over the next several hours, all eleven were tortured, beaten and shot dead. In January, a patrol from the 99th Infantry Division was directed to the site by villagers. What they found was horrific. Legs had been broken. Many had bayonet wounds to the head. Skulls crushed. Even some of their fingers were cut off. Army investigators were called to the site along with signal corps cameramen to record the grisly find. No one was ever brought to justice for these crimes. Coming on the heels of the Malmedy Massacre, it went largely undocumented except for a couple of grainy photographs taken by Army investigators. 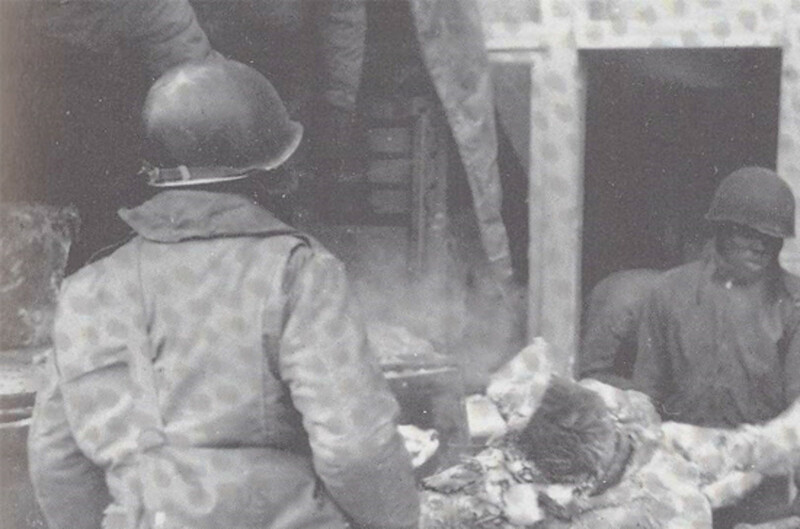 During the investigation into Malmedy after the war, the Army did review the incident at Wereth again. They determined that too much time had gone by to find the perpetrators who had most likely been either killed during the remaining months of the war or been discharged from U.S. custody since surrendering. The case was officially closed in 1947. In an added insult, most of the perpetrators of Malmedy escaped serious punishment too. 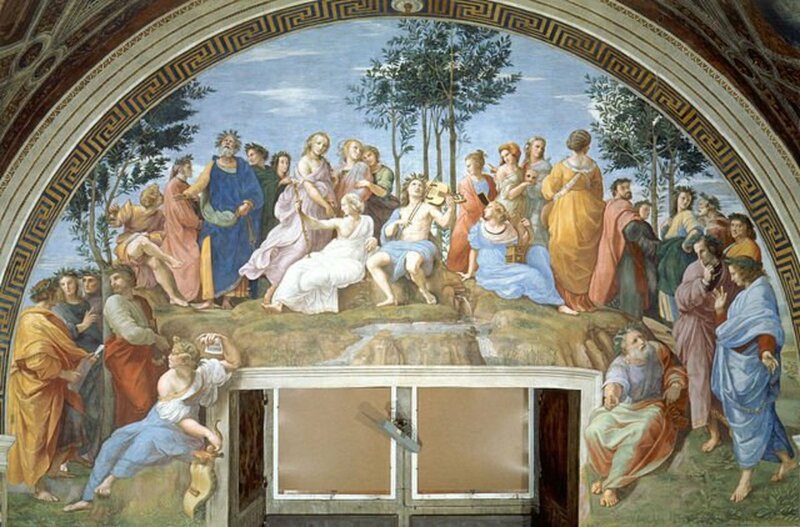 Their death sentences and life sentences were commuted. By the mid-1950s almost all had been released. As the Cold War ramped up, it was necessary to placate the German public. Remarkably, the Langers escaped any reprisal from the SS. Some have speculated that in exchange for the information, the person who betrayed the Langers may have extracted a promise from the Germans not to take any retribution. The Langers apparently knew who gave them away, but in a remarkable act of forgiveness never revealed the person’s name. The Germans also may have felt a sort of ethnic kinship with the locals. The Ardennes region of Belgium had been part of Germany up until the end of World War I. 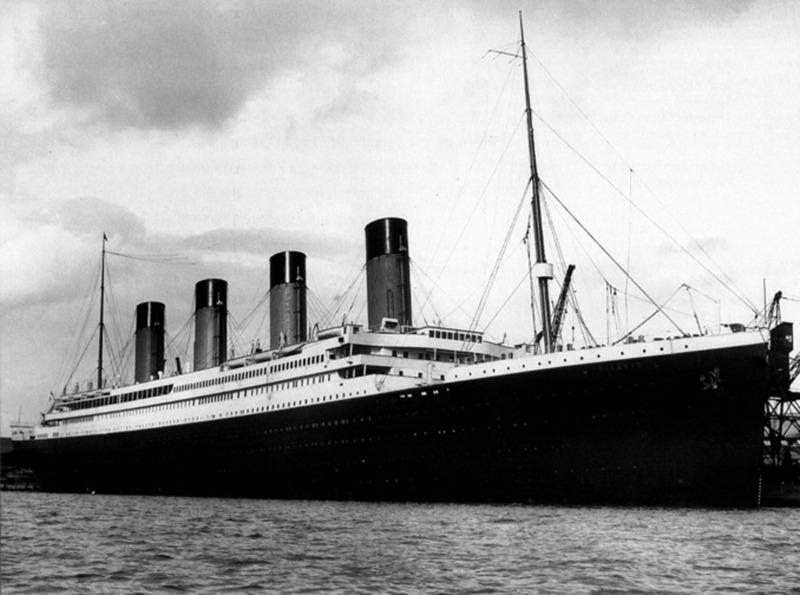 It was lost in the Treaty of Versailles. For many years, the events surrounding the 333rd were largely forgotten. But the Langer family, and other devoted historians would not forget. Dr. Norman Lichtenfeld, the son of a 106th veteran, and the Langer children helped form the U.S. Wereth Memorial Fund. The organization hoped to raise funds for a memorial. Their dreams were realized on May 23, 2004, when a memorial to the “Wereth 11” was formally dedicated near the location of the massacre. It is a simple symbol of sacrifice, placed where the bodies were found. The men have finally gotten their due. Recognition continues to come. Dr. Lichtenfeld is writing the first comprehensive book not only on the 333rd, but on the 969th as well. A TV movie about the massacre premiered in 2011. The increased media attention will definitely help spark interest in a subject that has been neglected way too long. 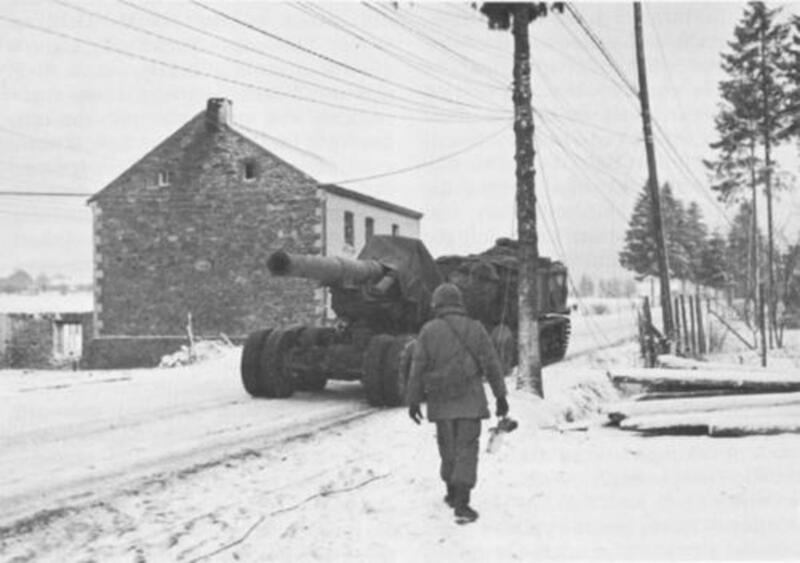 The 333rd’s A and B battery made it to Bastogne. They joined their fellow segregated unit, the 969th, and contributed mightily to that historic defense. While supporting the 101st Airborne Division, they suffered the highest casualty rate of any artillery unit in the VIII Corps during the siege with six officers and 222 men killed. One glaring weakness in the American war machine came to the fore during the Battle: a shortage of manpower. The Army suffered over 80,000 casualties during the six weeks of brutal fighting. That’s the equivalent over just over 5 divisions. Getting timely replacements turned out to be a very difficult proposition. Overconfidence in the fall led to many qualified personnel resources going to other theaters and services throughout late 1944. At the start of the 1945, the replacement situation became grave. This had an unexpected result: some infantry companies became desegregated, if only for a month or two. Towards the end of the battle in late January, “fifth platoons” were formed, made up of black volunteers, mostly from service units and attached to white infantry companies. It was the commander of the Service of Supply Corps ("COMZ"), General John C. Lee, who championed the use of black troops throughout his wartime service. Lee was devoutly religious, and believed in giving African American troops equal rights. He gladly allowed the troops under his command to volunteer for front line duty. 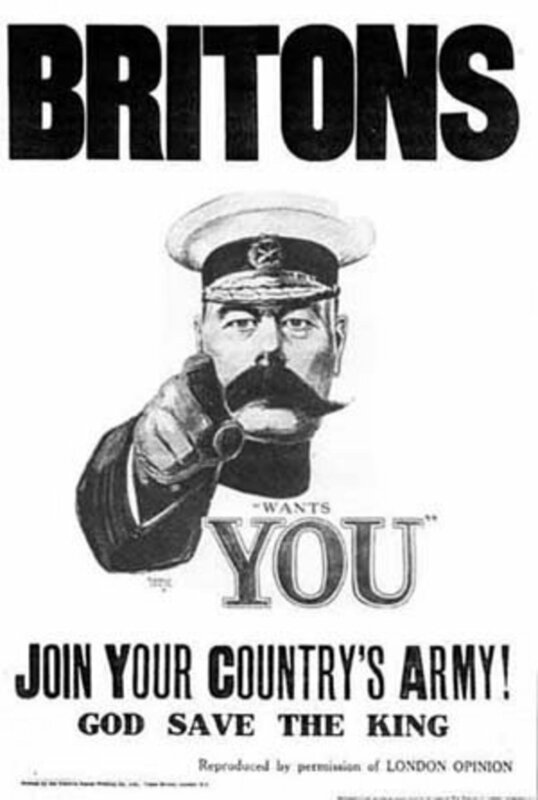 The standard infantry company at the time had four platoons; hence the term fifth platoon. They were given rudimentary retraining to make sure they remembered how to fire an M-1 Garand. Most had been using the M-1 carbine, so it was a big change. Some had heavy weapons training, and there was some instruction on tactics; then off they went. Of course, they had white officers leading them. 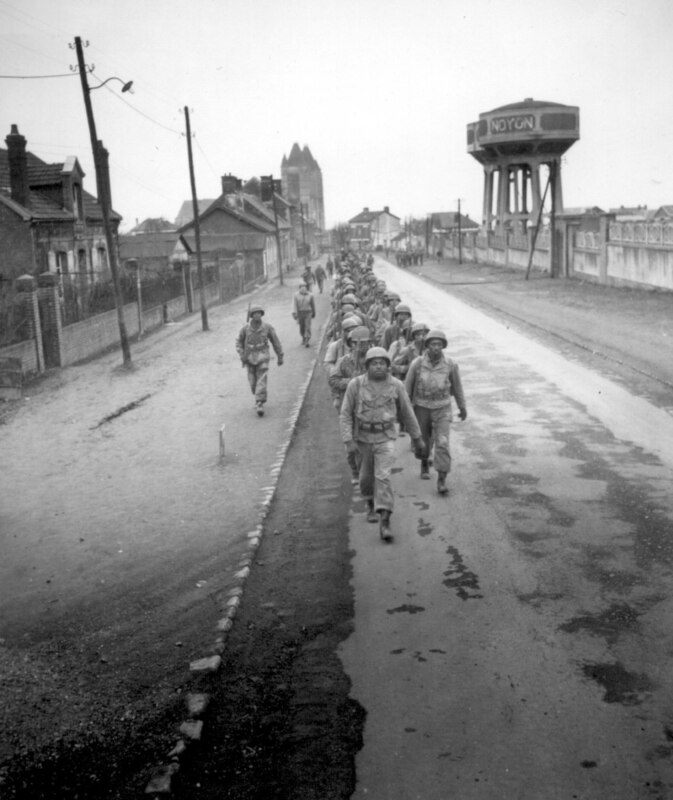 By war's end, black platoons were used in ten armored and infantry divisions in the European Theater including the 106th as well as the famous 1st Infantry Division. After the war the use of black platoons was evaluated. Interviews were conducted with the white officers they served under along with the assessments of their battalion commanders. All gave them high grades. 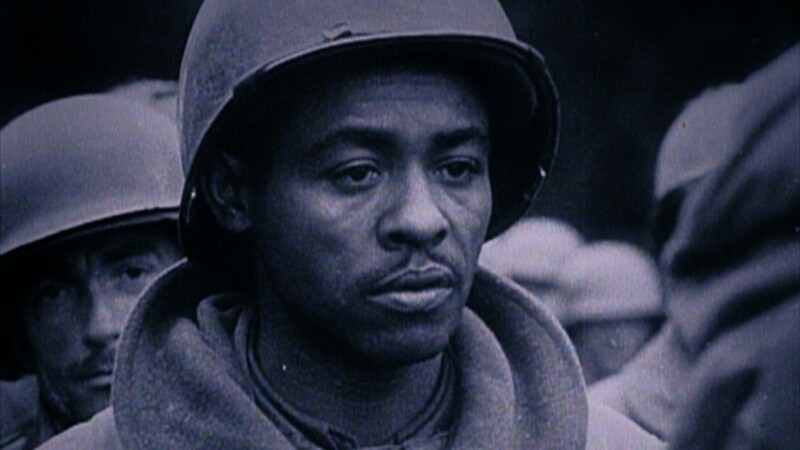 It became a leading factor in desegregating the Army, which finally occurred in 1948. World War II became an impetus for social change in the United States. Women got the chance to work in highly technical fields, the average American was able to travel the world and most importantly, a large group of Americans who had been marginalized by the majority finally received some recognition for their contributions. This well-earned respect paid dividends when they came home. Within ten years the Civil Rights movement had begun and many of the men who paved the way were veterans. Icons like Jackie Robinson and Ralph Abernathy had to deal with much injustice while in the Army. But the inner strength they found to deal with those indignities was incalculable in breaking down racial barriers in postwar America. The men at Wereth had a lot to do with that. They did not live to see themselves truly free, but by remembering their sacrifice we add them to the long list of those who died for freedom. Astor, Gerald. The Right To Fight. Presidio Press, 1998. After The Battle Magazine (Jean Pallud, publisher and primary editor) - Highly recommend publication. I also recommend Mr. Pallud's book Battle of the Bulge: Then and Now. Great comparison, Mr. Barden. Hopefully, both groups of men will never be forgotten. Thanks for stopping by. Really appreciate it. Thanks for stopping, Ms. Dekeyser. I have been by your site many times. Great historical resource on a very important topic. May it never be forgotten. Are you looking for specific info or photos? I can send you everything I have. Let me know. I believe we have mutual acquaintances, the late Dr. Lichtenfeld, and Carl Wouters? I spoke with Dr. Lichtenfeld many times prior to his death and was sad to hear he did not get his book published prior to his death. Carl is incredible research and was invaluable to me when I wrote my book. Thanks for the kind words, Mr. Kelly. It was a pleasure to write the article. Helping them get recognition is something we should never stop doing. If you have any pics, feel free to share them on the Red Legs FB page. They always get a great reaction. While stationed in the Netherlands, I got to visit the farm house and the memorial site in Belgium. I also visited the American Cemetery (Henri Chappell) where several members of the 333rd FA were buried. Thanks for this tribute. I can't say if there are books that talk specifically (exclusively) about the African American POW experience. I have some that touch on the subject and I will forward those titles. I do know that in the last year of the war, African American were kept in the same camps, but the GIs self-segregated in many cases, with most of the black GIs ending up living in the same barracks and eating together. The Germans did not impose it inside the wire (for the most part). None of POWs I spoke with or interviewed (or even the written accounts I've read) mention black servicemen in the camps. But I know they were there. As one GI said to me, he was so focused on his own survival, that he does not remember everything. During the invasion of France, they took large #s of Senegalese troops POW and they were treated terribly and many were massacred after capture. There are other stories similar to the Wereth 11. But once captured, it appears they were treated just as terrrible as every other POW. Just watched program on National Geographics about the Battle of the Bulge it was mostly about how they separated the Jewish soldier and sent them to work camps. although they sowed bl;ack soldier in the prisoners which were captured the never showed what happened to the black soldier which I think they also separated from the white troops. A there any books on what happened to these soldiers? Thanks so much. Hope you enjoy the visits. If you can, stop by the Eric Wood Memorial near Meyerode, as well as the 168th Combat Engineers Memorial near St. Vith (on the Prumerberg). Great article! I retired from the U.S. Army and living in Germany. I plan on visiting Battle sites in both France and Belguim this spring and summer. I will definitely visit the Werweth 11 Memorial Site. Excellent. Thanks. I'll email you tonight and show you a link to my page where the photo will be posted. Awesome! Thanks so much for stopping by. Glad I could give him some recognition. Do you have a photo of your uncle? I do a Artilleryman of the Week feature and would love add him. Thanks very much for this! 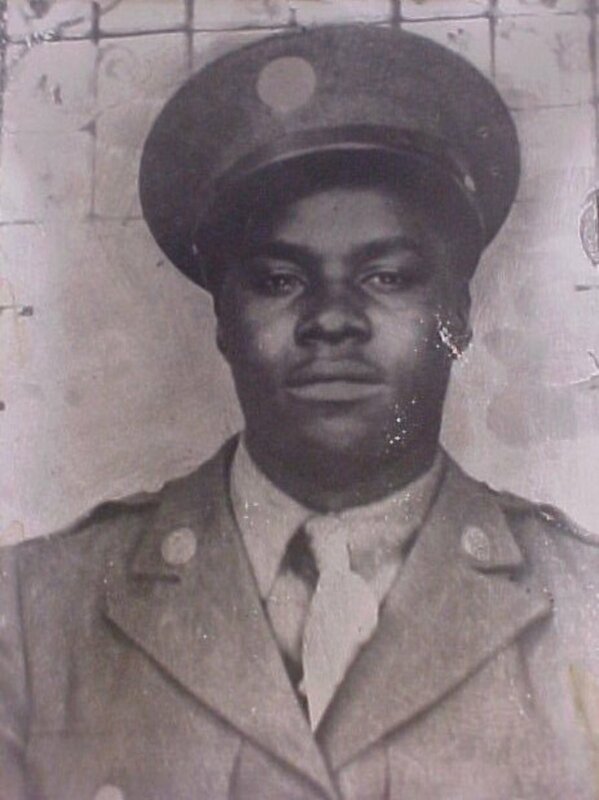 Not sure if you have already gotten this information, but the unit in the picture of the troops hunting snipers is one that I know from my uncle, James Brown of Darlington, South Carolina, who was there. It is of the 320th Barrage Balloon Battalion, which my Uncle was in when they hit Omaha beach (He said 10-15 minutes after the first wave landed and where he said he felt like the whole German army was shooting at him!)) in Normandy. He showed me the picture along with others he had of the unit, so I remember it well. Though the wiki page says they were shipped back, many of them, like my Uncle, also fought in the Battle of the Bulge. Thanks very much. Always appreciate the kind words. Great article, very well written. Congrats! Thanks for stopping by, Gary. If you would like share your service story, please feel free. Peacetime, wartime, etc., doesn't matter. It is truly an honor to know that I served in the 333 4BN. To know that I am apart of a lineage of fighting hero's make my service worth while. Yes, dad was assigned there and there he stayed. Thanks for stopping by. The 776th was assigned to a lot of different units (Divisions, Corps, etc.). Most notably the 10th AD. Was your dad in the outfit the entire time overseas? The 10th has a nice webpage that includes the 776th, but mostly about A Battery. The independent artillery units are the toughest for information and data. My father, Sgt. Embrose J Fabanich was attached to BTRY B, 776 FA, VIII CORP, at the Battle of the Bulge. I have read a portion of the action within C BTRY but have found nothing on my father's battery. The C BTRY diary tells me that "B" was hit very hard, but dad has made no mention of it. He passed in 1993. I have his photo album with lots of training and in theater photos. He had two other brothers in the war as well, CJ. I attended several of Dad's reunions and learned a lot about the war from his buddies. Truly the best generation! Thanks, Randy. Would love to hear your dad's story someday. Sounds like a hub. Thanks, Graham. It worth the work if I can help spread the word. Really appreciate you stopping by. Another first class hub. Always a pleasure to read such well researched and presented hubs. Your research is a beacon for many of us. Well done. Charles, I wrote a rather long biography of Bill McLeod, Commander of Battery C, for his induction into the Oklahoma Military Hall of fame that I would be happy to share with you. I was able to get some original photos that McLeod loaned to Dr. Lichtenfeld. I am certain that he knew CPT Chappie. 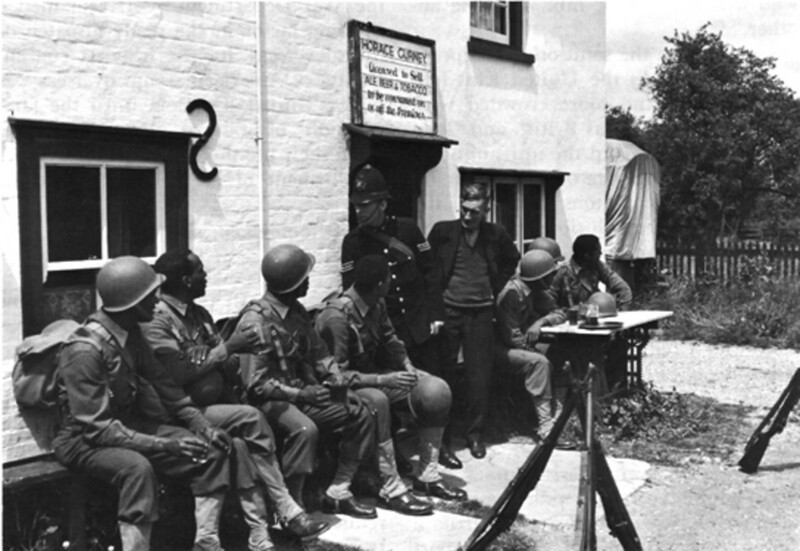 I have a photo of McLeod with two other officers at a pub in England before the 333rd moved to France. How can I get in touch with you? I was stunned to just find out about the passing of Dr Norman Lichtenfeld. I got to know Norman around 10 years ago by sharing the research I was doing on my mother's first husband Captain Ray Chapple (Battery B comander 333rd) who was kia in Bastogne on Dec 24 1944 and I sent several post a few years ago with more information. Norman did so much for one of the great untold stories of ww2 (and the new wereth memorial) and he will be missed. Norman was still working on his book on the 333rd the last time I talked to him and he was almost ready to send it to a publisher. Does anyone know if he ever finished his book on the 333rd? My mother Ruth Gordon passed in 1982 and never knew the full story of the 333rd and their sacrifice. The story was almost lost in my family too until I found Norman and i was able to find 5 vets who Norman later interviewed . I was able to find Captain Chapple,s brother Arden who lives in Spokane Washington and met him last year. Arden is now 88 and after many years he was finally able to find out directly from vets who were with Ray the night he was lost and it was late on Christmas Eve. Again very sorry to hear about Norman. MG William E. McLeod, Commander of Battery C, was inducted into the Oklahoma Military Hall of Fame last November. Mr. Woodcock, this is stunning news. I was not informed. I'm so sorry. Was he sick? Knew something might be up because I had not heard anything from him in a while. Figured he was just very busy. I see his Dad online sometimes. Let's hope the family gets his work published. It needs to be read. If you have a photo of your dad or his bio, please send it my way. I'll add it to the article. Thx. I found out recently the very sad news that Dr. Norman Lichtenfeld passed away last February. If it wasn't for him I'm not sure any of us would have heard the story of the Wereth 11. My father was in the 333rd and I don't believe he even knew the details. Dr. Lichtenfeld interviewed my mother when she was alive and I had the pleasure of speaking with him several times after she passed away. He was very kind, thoughtful and generous towards me and very passionate about the history of the 333rd and 969th. I'm very, very sorry for the loss and extend my condolences to his family. Thx, Greener. It was a privilege to write it. There is a lot of new material coming out on the unit soon, so keep an eye out. And don't forget to watch the movie. Terrific article and I am thrilled to find it. I had the privilege and honor to serve in the 4th BN 333 FA (USAR) and wear the Croix de Guerre and Presidential Unit Citation these outstanding soldiers and gunners earned. The battle streamers on the colors told the proud history of this unit. This article more than filled in gaps in the too brief lineage and honors of this unit. great war story, interesting in reading. Thx so much, Kaili. That means a lot. I hope Doc gets his book out soon, it will help make their history part of the greater narrative. Stay well. CJ, this is wonderfully researched and superbly told. Many people know the story of individual units at the Bulge from watching series like Band of Brothers. But it is these 'hidden' stories that tell the true tales of the individual battles, and of the great heroism and great evil that men are capable of. What a thorough, interesting and well-written hub. I suspect the magnitude of the war made it easier to overlook incidents like this one. Thx, PeachPurple. So true. Unfortunately, it was forced upon many of the parties involved. I don't think conflict will ever go away. war is bad, kills so many innocent people and fighters just for the sake of a country. I only approved the last two commenters to "correct" them. To "guest" and Antwan, please go back and read the article again. You apparently missed the substance of the article. The Wereth 11 were a group of men from C Battery and Service Battery (333rd FAB) that were massacred on the night of the 17th. They had escaped while the rest of C Battery was being overrun on the morning of Dec. 17 near Andler. The entire battalion was not massacred. They fought on bravely at Bastogne (A and B Batteries), supporting the 101st. A and B Batteries were displaced from their positions near Schonberg on the night of the 16th by DivArty, and sent south. This was done at the request of Gen. McMahon of the 106th. Again, read more closely instead of making silly comments. Most of C Battery and Service battery were captured on the 19th at Schonberg, Belgium with two regiments of the 106th. There is footage of the men being marched away by the Germans. Do you want see it? I have still photos of the men as well. I don't know if I can make it any clearer. They made a TV movie about it, if reading is not your forte. Not sure what you mean by "forgot". The prior comment is correct: the 333rd artillery battalion was slaughtered by the Germans during the Battle of the Bulge. 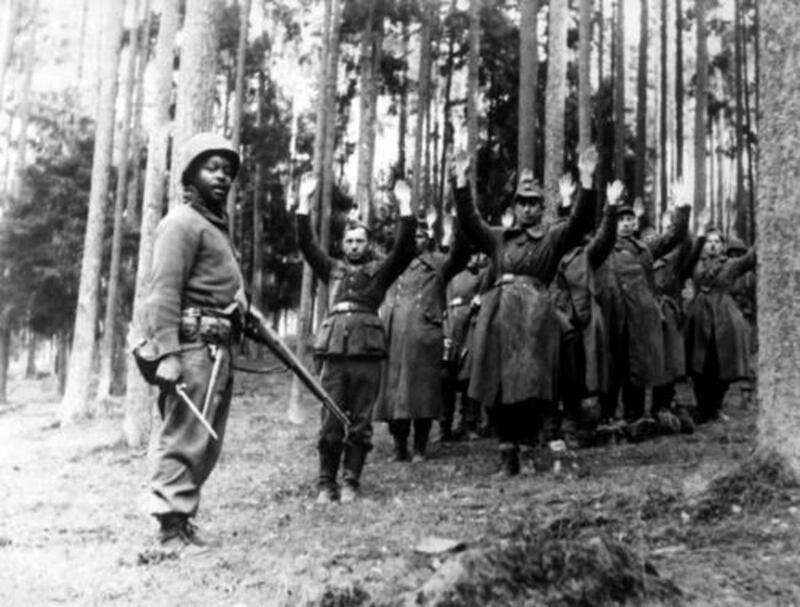 It was during the slaughter that the 11 black soldiers escaped only to be captured later on and be brutally executed by the German SS. I may have missed it, but did the article mention that the all-black 333rd battalion was massacred by the Germans? This article seemed to have conveniently "forgot" to mention it. Thank you, CJ. Happy Holidays. Romekio, you're too kind. Thx so much. The story is so engrossing it writes itself. I owe a lot of Dr. Lichtenfeld and his research on the subject. He is a true expert. Please visit the wereth.org page. Great stuff. Hope to have a few more articles in 2015. Stay well. Mr. Levine, thanks very much. Means a lot. Happy Hanukkah to you and your family. follow the author .. of course hoping to read more great hubs like this. follow the topic , glad to be the 16th follower of the that worthy subject. Excellent, thorough article on an overlooked aspect of the battle. This is a great article. 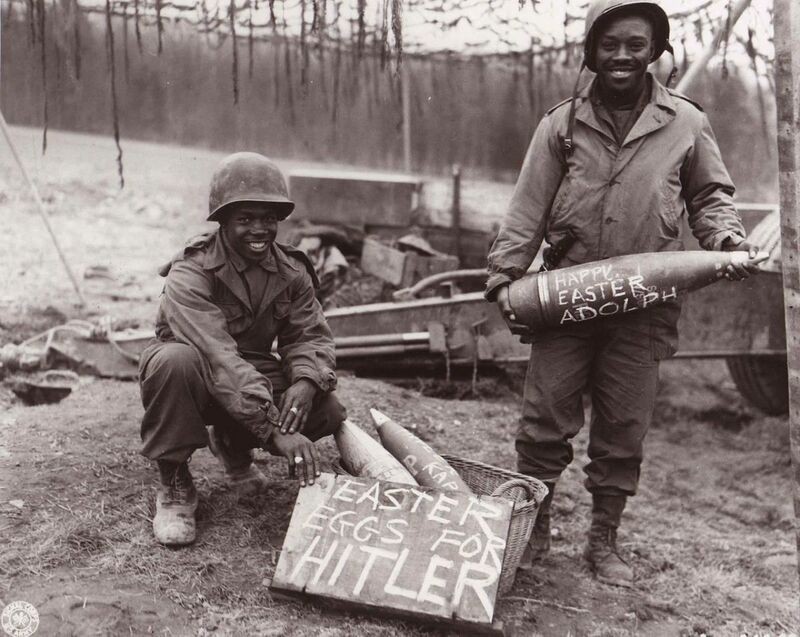 It's good to know this about the battle of Bulge. Thx, Graham. Means a lot. It is a painstaking process. When you write about military history, one mistake and you'll have the entire community come down on you. And with the anniversary of the Bulge upon us, I hope more people come to know the men of the 333rd. Hi CJ. Absolutely first class. Presentation, content, photographs and incredible research makes this the very best on hub pages. You touched so many bases and characters I felt at times I was there. Thx reasonablerobby. Glad to impart the knowledge. That's why I write. This hub caught my eye. What a moving story and really well told. I had no idea about this event and it is a fitting tribute to the fallen who all demand huge respect. Wonderful history of this remarkable and all but forgotten group of man. It is indeed a shame that they were forgotten and it is also a sign of those hateful times. Excellent Hub, Lions44. History! Oh wow! I wonder how you know all of these :D I've only read about the world wars 1 and 2 and how the Germans fought..But in general I don't really love to know about these things because I think that everyone would tell the story from his/her own point of view and how he/she saw or heard things happening..
Ike was a man of his time with his prejudices, but you're correct, he would never had stood for these men being forgotten. Thankfully, we do things much better today. I did not know that St. Vith was still so German. My Belgian friends are Walloons, and speak their own language in the area. But I hear the people are extremely welcoming and nice to Americans. Fascinating. From what I have read elsewhere, I don't think General Eisenhower himself would have approved of treating the memory of the fallen in a different way because of race. 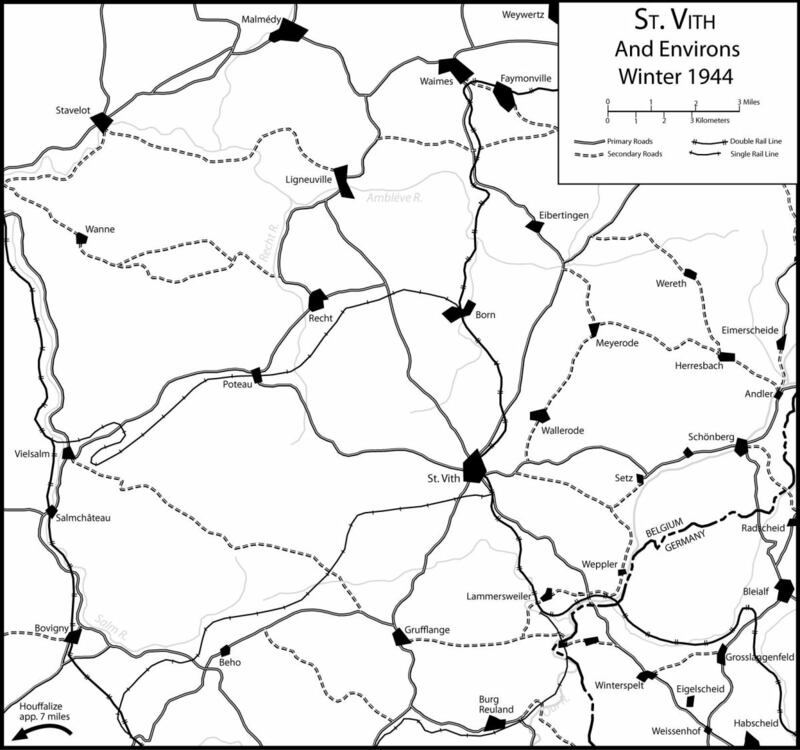 St Vith itself is also a curious town; before 1918 part of Germany and still German-speaking today, it was annexed and re-annexed by Belgium in that year and in 1945 also, the victorious Allies thus indulging Belgian revanchist sentiment. I myself lived in Belgium's Liège (German: Lüttich) province for a while, where St. Vith is situated. All it takes for evil to flourish is if good men do nothing. All of the soldiers in WWII and all American engagements have performed wonderfully. The men of the 333rd and other units like them since the Civil War have proved that the equality of action is greater than the perception of prejudice. We are all created in the image of God, and as such we are to respect and love one another for the love of God. It's the golden rule all day long. It is a shame that our nation had to go through these inner-struggles but because of everyone's determination to do what is right we as a nation of many are able to unite as ONE!! Thanks to the brave men and women who fought abroad and at the home-front. May all those who have perished in combat rest in peace, God have mercy on them. Hoooah!!! Thx very much, BL. Glad I could help spread the word. Also, Dr. Norman Lichtenfeld, whose dad was a vet in the 106th, is writing a book on the 333rd. He was a real driving force behind the memorial. I watched an account of the Wereth 11 this morning on the Military History Channel and was very moved by the story of the 333rd. I did a web search and came across your article. My thanks go to those in Belgium who were responsible for the erection of memorials to both the Wereth 11 and the victims of the Malmedy Massacre. 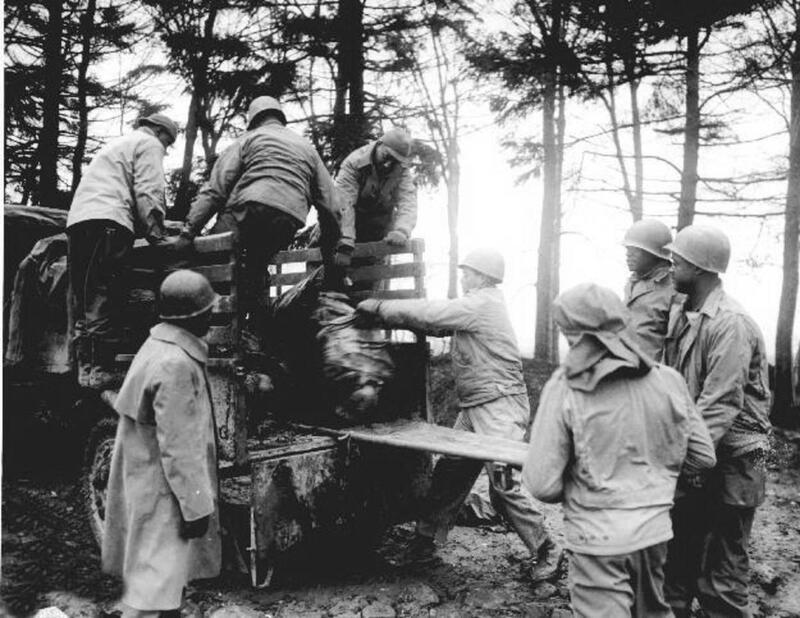 I was relieved that even though the perpetators of the torture and killing of the Wereth 11 were never brought to trial, the victims have been honored at a memorial in the Veterans Memorial Cemetery in Winchendon, MA. Thx for commenting. I really appreciate it. In terms of race relations, the 1940s was almost medieval. But even in the days of segregation, the Army was an avenue to a somewhat better life for African American men (remains so). There was a paradox between the domestic struggle and their willingness to forge ahead in the war effort. But in the end it paid off. Despite our amnesia about the contributions of African Americans in all our wars, their incredible determination inspired others and led to the Civil Rights Movement. Change comes slowly a lot of the time and that is unfortunate. However, we are a far better nation today than we were in the 1940s. As an American, I’m proud of that. I only hope I contributed somewhat to the greater historical perspective that is gained by studying our history, warts and all. 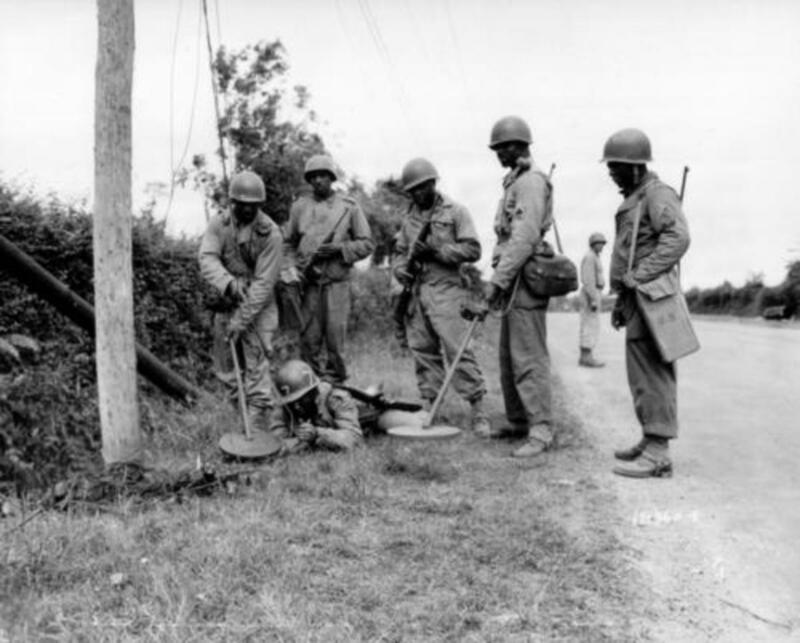 HOW could the Blacks of 333rd Field Artillery Battalion, massacred in WWII have been forgotten? MOST African Americans don't even Know this!! WHY do African Americans Fight for those who STILL even Today WON'T give Justice or Fair play. PEOPLE from other countries come to USA and get more Justice and fair play then African Americans. Please go ahead and send my contact info to Dr. Lichtenfeld. That way he will not be surprised when I call him. I looked his number up on white pages. I look forward to talking with him. I served in McLeod's command when I was a lieutenant a long time ago, and really admired his leadership. His family is really exited about the project. My eldest brother-in-law was a medic in the 442nd Inf Regiment and was captured at the Bulge. He did not fare well in the POW camp, and the whole experinece left him damaged both physically and mentally. He passed in 1990. Thx Bob. Much of my research on the 333rd and in particular C Battery came from an After the Battle article on the battalion and Dr. Lichtenfeld, who is shopping a book on the unit right now. He actually loaned me a photo of Captain McLeod and his men and is the driving force behind getting those men recognition. I can email him and pass on your address, if that's okay. He is the definitive source on all things 333rd. I did not watch Wereth 11 because when it was first screened, I was in the midst of finishing my book on the 106th and 333rd. I'm always careful when I'm writing a book or article not to watch a film/TV adaptation of the subject matter. Just a rule that I use. But I do plan on watching it now that the book is done. I'll check the date on the article and pass it on to you. And I think it's great that you are nominating Mr. McLeod. He deserves it. Hope to get back to you soon. Well written article, Charles. I am dong some research on the commander of C Battery, Captain Bill Gene McLeod, as part of a project to nominate him for the Oklahoma Military Hall of Fame. McLeod stayed on active duty in the Army After WWII and retired as a Major General in 1979. I would be grateful for any additional information that you may have about him during the war, and can share some information about him that you may not have. My email is rsballagh@comcast.net. Have you seen the movie "Wereth 11?" Mr. Johnson, I will do my best to get you info. Thx. This is great information. My father, Joseph E. Johnson, was a cannoneer with the 333rd FAB. He was wounded in Belgium in February 1945. Since his records were destroyed in the fire with many military records, I've been unable to find out more about the battle in which he was wounded. I was able to get the ribbons and medals he received. If anyone has information on the February battle, please respond. He arrived in England in April 1944 and was overseas until September 1945. Mr. Pritchett, are you a relative? Thx Motlee. Much appreciate your comments. Maybe when Dr. Lichtenfeld gets his book out someone will make that into a feature film. This would be a great Movie. Not to glorify the incident, but to honor the friends and families. I now there was a made for TV movie that was done. I would prefer the big screen though.I watched this on the History channel. This should never ever be forgotten. We need more than just a memorial for these wonderful troops. Many thanks Mr. Palumbo for your compliments. I'm very happy to help bring this story to others. I have spoken with numerous people, both Belgian and American, who knew the Langers (and those who know the children). I"m certain it was not a family member but a frightened neighbor, who may or may not have had German sympathies. Maybe Dr. Lichtenfeld will reveal who the person was in his book. But it's been such a closely guarded secret, I don't think we'll ever know. Well researched and written. I don't know why this incident was obscured, but I'm pleased it's getting well-deserved attention by researchers and writers like you. I'd seen a photo of the modest memorial to the Wereth 11. I question why the Langer family escaped the wrath of the SS unless they were complicit in revealing the presence of the troops. I understand they were instrumental in facilitating the monument on their property, and I wonder if that was prompted by empathy or guilt. Scott I just read you comm)ents and would like to talk to you (my email is Charles@peppersla.comC . I would recommend you also contact Dr Norm Lichtenfled in Mobile Alabama (the number one authority on the 333rd and the one who got the new Wereth 11 memorial built in Belgium. If you read the 333rd or 969th after action report at 11:45pm Christmas Eve the next item after Captains Amann and Chapple being killed says Pattons 10th armored was only a few thousand yards south of Bastogne. I fully realize after reading this I may not have been born in 1955. Please contact me I have interviewed 6-8 vets and will share my research. Thanks very much, Mr. Woodcock. It's always great to hear these stories. If you have any further info (pics, etc.) that you could share about your dad, I would love to see it. You can email me or I'm on Facebook. Wow Charles, it kind of sent chills when I read your comment. My father was James Woodcock, a lieutenant in Battery B. He often told the story of that Christmas Eve. Apparently, he had arrived at the house first that day and had planned on spending the night inside. At some point though, Captain Chapple arrived and directed my dad to sleep outside in the foxholes that had been dug near the guns. The bombardment that night was terrible and when my father climbed to the surface the next morning, he found the 155mm howitzers tossed around like toys and the house he had hoped to sleep in the night before reduced to a pile of smouldering rubble. If things had gone differently on that freezing night nearly 70 years ago, neither one of us would have ever existed. Thanks so much for commenting Mr. Gordon. I would love more info about your mom's late husband. I could add him to my next "Artillery Heroes" article. 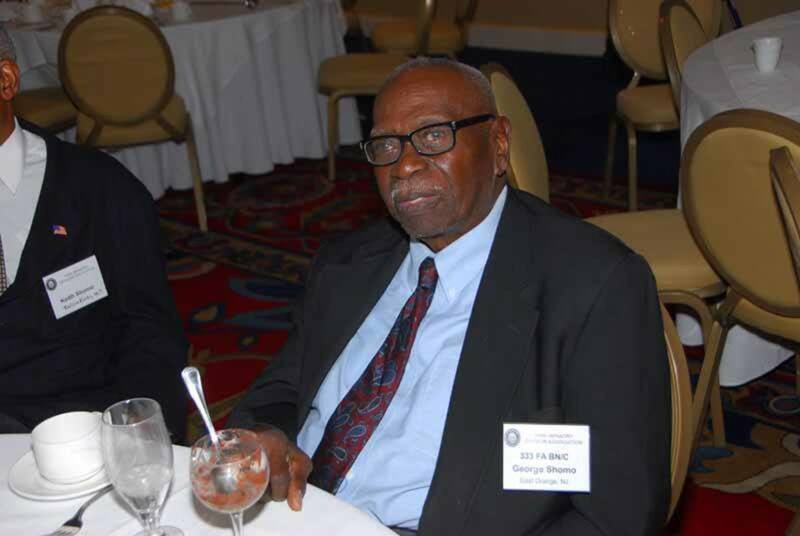 It's still very hard getting first hand accounts from African American units in WWII. Do you have a pic? Letters? Service Record? I'll try to look up the service record. Again, your comments are much appreciated. This is one of the great untold stories from WW2 I have been researching for 7 years. My late mothers (Ruth Gordon) first husband was Capt Ray Chapple who was over Battery B (333rd). 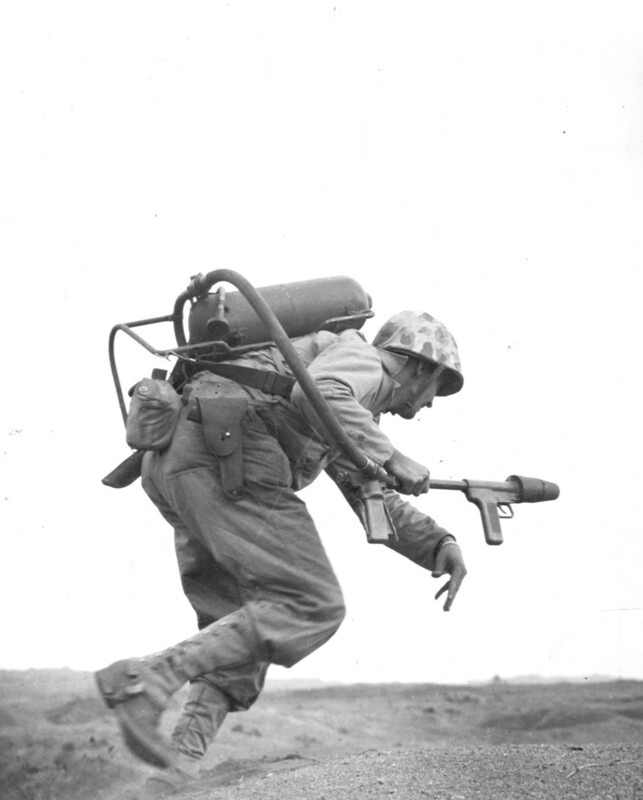 On December 16, 1944 Battery B was over run like battery C (Wereth 11 were from battery C) a few miles away. 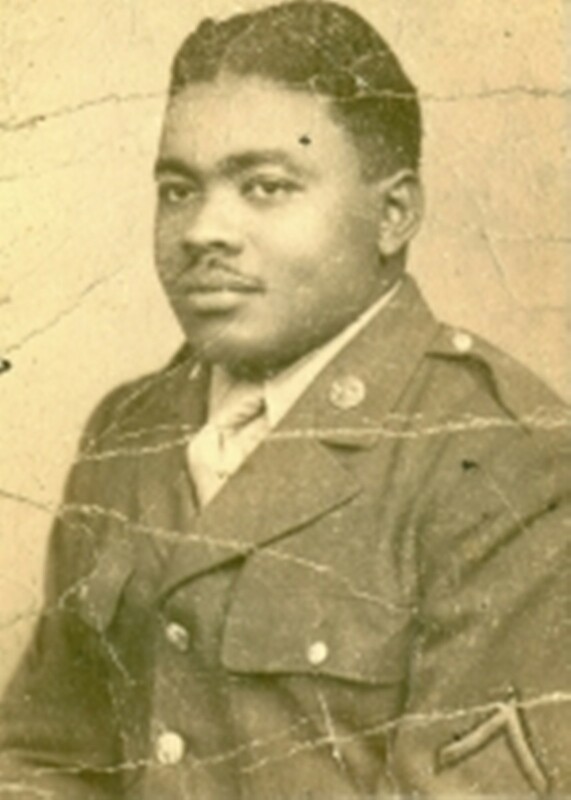 Captain Chapple ordered his 155 guns destroyed (thermide grenades) and he and a small group of his battery made to Bastogne and joined up with the 969 (another all African American Artillery battalion/part of the 333rd group). The fighting at Bastogne was close enough for direct fire with 155 guns and they took out many German tanks. The 101st got all of the credit for stopping the Germans and the story of the brave men of the 333rd and 969th was never told until the last few years. Captain Chapple was killed on Christmas eve in Bastogne when the German Air force bombed the city. My question has always been could Bastogne have been held without the 155's of the 969 and 333rd. Even the far superior Germans tanks attacking Bastogne had no chance after a direct hit from a 155 high explosive round. Thanks to all of you for commenting. You guys are sort of an "all star" panel of commenters. Keep up the good work. Congratulations lions, once more history came alive in your hubs! I was a little puzzled when 1st SS was mentioned because the 106 ID was attacked by the 18 VG Division and St. Vith was in the area of operations of the 5th Pz. Army. With some research I found that Knittel’s Recon. Battalion was stationed around Born during the 17th of December, so, in all probability, a light patrol moved south towards Wereth. Reading the stories of these remarkable soldiers is awesome. Hi lions44, a beautiful Hub! Well written and a worthy subject. Voted up, and ABI. Also shared. I wonder how many more of these horrible tragedies happened? There are probably many more like this one. I'm glad that a lot of documentation has gradually become available to researchers such as you. Thank you for a good read, and have a good day! Thanks, UH. I'm constantly surprised by the lack of knowledge about this event and just glad I could help spread the word. Awesome hub, lions44. Well-constructed with great images and full of information. "The men have finally gotten their due. Recognition continues to come." -- and this hub should add to that recognition. I made sure and read each and every name of those massacred. Voted up, interesting and awesome.